Owner and financier of Tema Youth FC, Wilfred Osei Kweku Palmer who is the leader of delegation for Asante Kotoko in their second league of the CAF Confederations Cup have reiterated that they are impressed with the attitude of the match commissioner for today's game against CARA Brazzaville. According to Executive Member of the Ghana Football Association, the match commissioner has been silent about the hostile attitude the CARA supporters have shown to Kotoko. The FA Cup champions were heckled by the officials and supporters of CARA on Tuesday whiles training at the match venue. Speaking to the media ahead of the game he said, “Supporters of CARA invaded the pre-technical meeting, which ended abruptly. “We don’t even believe the match commissioner because in all our atrocities he was mute and watched everything without saying a word to the Congolese. “Congolese FA has ordered there shouldn’t be any coverage in today’s game but we have written to CAF through the Ghana Football Association to allow coverage. “Thanking the government of Ghana for the wonderful treatment they’ve given to Kotoko in Congo. “We are going all out to beat CARA in Congo irrespective of all the unwanted treatment," Palmer told Happy FM. 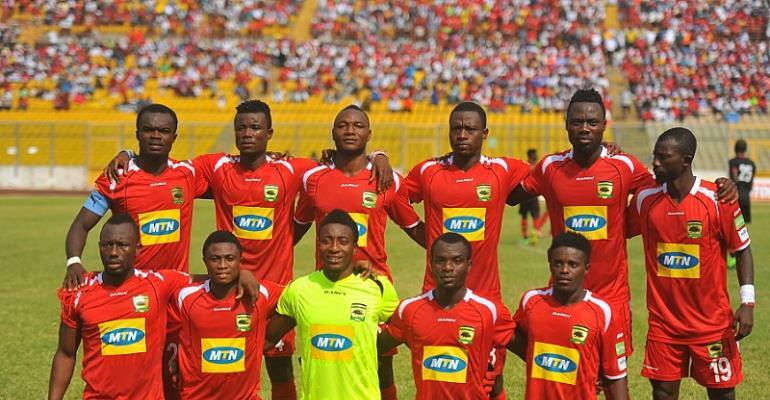 Kotoko defeated CARA by a lone goal in the first league at the Baba Yara Sports Stadium.